Traditional pull-ups are hard - let the Perfect Pullup's patented swing arm brings the bar down to you. Now, almost anyone can do a pull-up! 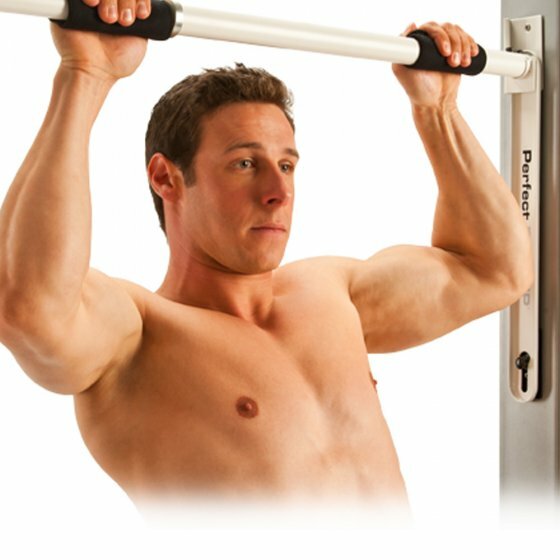 The adjustable swing arm helps you work up to traditional pull-ups by performing Standing Rows and Australian Pullups. If you've already mastered the traditional pull-up, use the swing arm to perform tricep presses, lunges, and a wide variety of other exercises. Great for all fitness levels - the downloadable Navy SEAL-inspired workout poster provides beginner, intermediate, and advanced workouts.